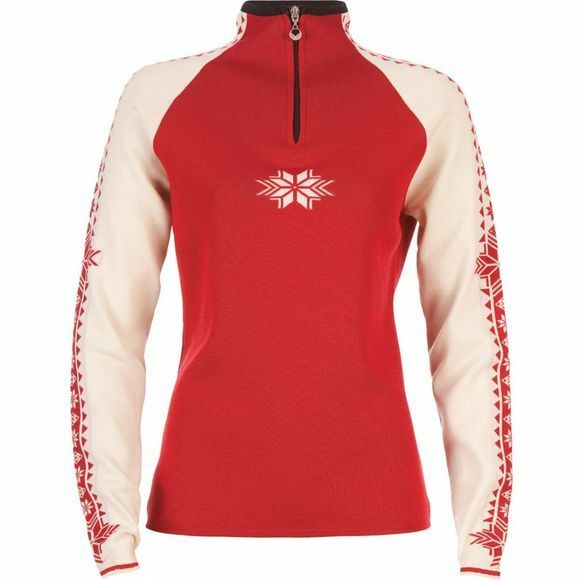 A sporty, feminine design with bold colors, contrast zippers, piped edging and reverse colored sleeves for a fresh look, the Women's Geilo Sweater has it all. A matching hat, headband and scarf sold separately, completes the look. Made with Dale of Norway's premium skinsoft Merino, the Geilo Sweater features a durable double-knit construction that makes it ideal for an active lifestyle, traveling from the slopes to the office.